When customers search for your products or services, what do they find? You – or the competition? conversions, and revenue will plummet. Think BIG Engine's search engine optimization (SEO) services will help. to find the products and services they need. be able to find you in a sea of competitors. Google alone sends 90.62% of all traffic worldwide. Your customers are using search engines. Will they find you when they look for you? Even if you are there, how much digging will your customers have to do to find you? Let's work together to build and implement a solid SEO strategy that works for your business. Get a free website audit today to discuss your SEO needs. You have enough on your plate already. Leave SEO to the experts. Because every change in your website's ranking counts. And the wrong move could tarnish your site's reputation – permanently. At Think Big Engine, we know that there are a lot of other SEO companies out there. But we're different. We care about results. We want to see you succeed. That's why we take the time to make sure that SEO is done the right way. 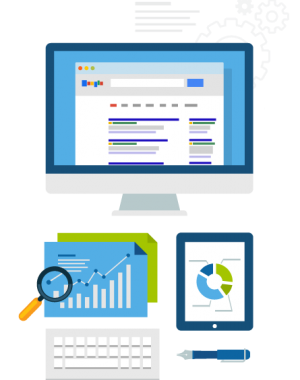 Think Big Engine offers complete and comprehensive SEO services that will pull your site out of the shadows and onto the map. If, after a 6-month campaign, you have followed our advice, made the appropriate changes to your site, and you still don't see improved keyword rankings we'll give you your money back. How can we do this? Because it's nearly impossible to NOT rank for properly selected keywords or long-tail phrases. SEO is an art. Keeping up with trends and changes in the search engine industry is a chore. Let us do the work for you. We have the experience, tools, and network you need to succeed. Because when you succeed, it's a victory for us too! Want better rankings? Think BIG Engine's SEO services will help. Click here to get a free website audit.